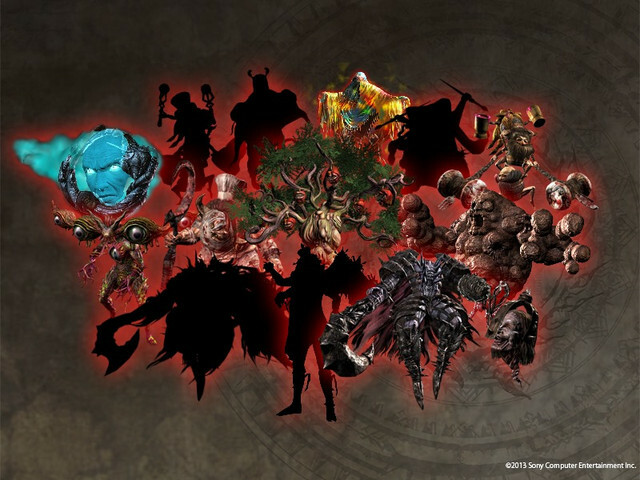 You may have seen some info on the free Soul Sacrifice DLC heading our way later this month. You may have even noticed the poster below in your local Gamestop. It's true: several new bosses have been confirmed as free DLC with eight of them having been identified. I would have mentioned something earlier, but I've been playing the game so much I forgot to write about it. This is easily my pick up and play guilty pleasure of the year (so far). If you haven't been keeping up with your Avalon Pacts, check out the image below and get an eyeful of the grotesque monsters soon to be marked for extermination. Source: NeoGaf. Or my local Gamestop, had I thought to take a picture of their ad. If we're to believe the poster (and I always trust a good poster), the first set of DLC is due to drop at the end of the month. 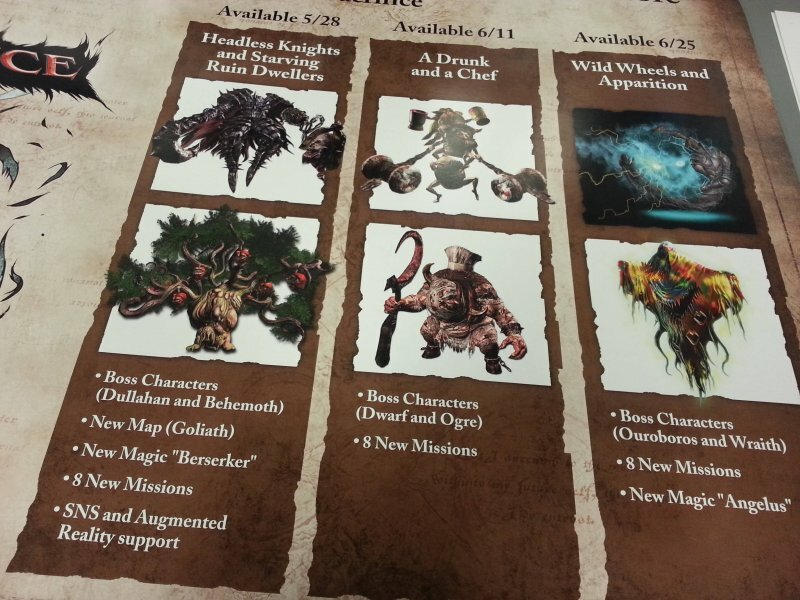 The Headless Knight and Starving Ruin Dwellers content will not only include new monsters, but it will also offer a new map, new magic, and new missions. If I remember my grainy Japanese teaser videos correctly, the Goliath map will actually take place in the intestines of a giant beast. We'll have to wait and see to be sure. In addition to the Gamestop promotional poster, two more bosses have been spotted. A Troll and Basilisk will join the decrepit ranks of the US monsters later this summer. Using my awesome powers of calendar reading and comprehension, I'm going to extrapolate that these two beasties will be available on or around July 9th. Because math. I've included four videos of the monsters in action. The Ouroboros, Wraith, Troll, and Basilisk all await your viewing pleasure. True to all Soul Sacrifice monsters, each has their own tragic, disturbing back story. Soul Sacrifice is out now exclusively on the PlayStation Vita. It supports four player online co-op and four player local co-op. For more information, be sure to check out our Co-Op Review and Co-Op FAQ.